Thinking about cutting the cord? Read this first. If you’re still watching television using a cable TV service, chances are you also have a streaming subscription in some capacity, whether it’s Netflix, HBO Now, Hulu or some other paid service. Anyone paying for these costly ways to watch the television may be wondering whether it’s a good time to cut the cord – the cable television cord, that is – and switch solely to streaming platforms. You’ll have to know exactly what your needs are before you make the leap, and it could also take some number crunching. Get the scoop on the considerations you’ll need to keep in mind when making the determination of whether to use one service over the other. Your first order of business is to keep track of your favorite television programs. Are you a die-hard fan of The Profit? Do you instead prefer Russian Doll? Is Game of Thrones on your viewing list? Whatever the case may be, start keeping a simple journal profiling the shows you most often view. Once you have this information, you can begin to research where these programs air. For instance, if you’re the person who can’t live without The Profit, you may find that new episodes of the show can be taped off of cable, but aren’t available online or on streaming for a few weeks. This could be an essential consideration if you like to watch immediately. If instead, you don’t want to miss Russian Doll, then a Netflix subscription is necessary for your needs. 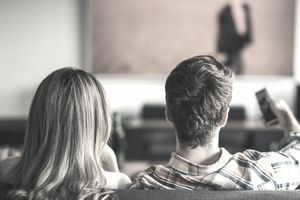 Once you have a list of the shows you watch the most often, along with a corresponding listing of the places those shows air, you can begin to compare and contrast the services where you can watch them. Find out exactly what you pay for your cable service, and then compare that against the cost of live television streaming services. For instance, if you cancel your DirectTV service, you might instead switch to DirectTV NOW, the company’s streaming program that offers you access to many of the same channels but without the commitment of paying a monthly cable bill. If you are someone who – for instance – enjoys watching live sports games, you may need a way to watch live television, and these services could be just what you need. The same goes for programs like YouTube TV and Sling TV. These live streaming services will typically cost you anywhere from $20 to $75 a month, depending on your needs, but can provide you with up to 125 channels that you can view with nothing more than a Wi-Fi connection. Once you know which shows are available on each service, you can determine which are most appealing to you and add together what the costs might be. You could end up finding that paying for a few streaming services adds up to the same cost you’d spend on cable – or even more. On the other hand, one Netflix account can serve you well if you have multiple televisions or even homes – whereas multiple cable boxes are often necessary when you have several televisions. If you’re really looking to save money on your television viewing, don’t forget the best way to save cash – get a television antenna. Gone are the days of the rabbit ears, which often went out of service the minute the wind started to blow. You can cut both the cable cord and the commitment of streaming services, but still watch dozens of channels on live television, by purchasing one of today’s high-tech antennae, which usually run $50 or less. The biggest downside to these is that you’ll only get network television channels (not cable) and you can’t record your shows – you’ll need to watch live (unless you still have a VCR). In many cases, you may find that the antenna meets your live television need when you have an important show that you want to watch in real time (like the Super Bowl or the Oscars) and then supplement that with a few streaming services like Netflix and Hulu. Combining the antenna with select streaming platforms is typically the most cost-effective way to have a few shows possible for live viewing and then other shows that can be streamed.